As mentioned by two readers in this month's "Letters," amplifiers are used to drive loudspeakers but are almost exclusively measured into resistive loads. The reasons for this are twofold: 1) real loudspeakers both produce neighbor-annoying sound levels and tend to break when driven with typical amplifier test signals; and 2) the question as to which "standard" loudspeaker should be used is impossible to answer---at least the conventional resistive loads are consistent and repeatable. One of the great imponderables in hi-fi is how much the vibrations of a dynamic loudspeaker's cabinet walls contribute to its overall sound quality. Studies by William Stevens in the mid-1970s showed that, with some speakers, the acoustic output of the enclosure could be almost as much as that from the drive-units. Since then, responsible speaker designers have worked hard either to damp cabinet vibrations or to shift them to higher frequencies where their effect on the music will be less deleterious. If you read Stereophile regularly, you already know that all audio equipment does not sound the same. But did you know that a given piece of gear can sound better or worse depending upon how it's set up and used? With a few simple tweaks, you can bring out the best in your audio system. Book Review: "The Complete Guide to High-End Audio"
450+xxiv pp., $29.95 softcover, $39.95 signed hardcover. Published by Acapella Publishing, P.O. Box 80805, Albuquerque, NM 87198-0805. Credit-card orders: (800) 848-5099. In the October 1994 Stereophile (Vol.17 No.10, p.39), I discussed my experiences with the DTS audio data-reduction code/decode switch box, which, briefly, is a two-channel box that makes use of the algorithm DTS has proposed for their version of discrete multichannel sound for laserdiscs. Back in the spring of 1990, Stereophile introduced its first Test CD, featuring a mixture of test signals and musical tracks recorded by the magazine's editors and writers. Even as we were working on that first disc, however, we had plans to produce a second disc which would expand on the usefulness of the first and feature a more varied selection of music. 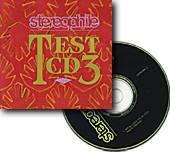 The result was our Test CD 2, released in May 1992. Anyone who's ever looked for it knows how rare audio-friendly living space is. Perhaps someday an enterprising developer will build Audiophile Acres---a whole subdivision of audio houses or soundproofed condos that'll meet these needs---then stand by while hordes of long-suffering audiophiles stampede the sales office, frantically waving down-payments in their sweaty hands. That was the question asked by a reader who was perfectly happy with his CD-based system. He was using the gain control provided by the variable output of his CD player and was apparently in no need of phono playback or greater flexibility. He asked us to answer this question, ignoring for the moment the obvious functions of switching, volume and tone control, and phono preamplification. With those hardly trivial qualifiers—and bearing in mind the high output available from many of today's line sources, CD players in particular—do you really need the added expense and complexity of a preamplifier? 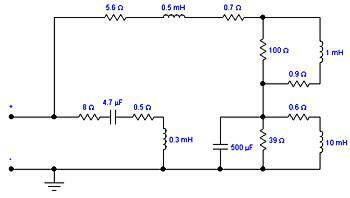 On a number of occasions we have commented on the effects of an amplifier's output impedance on a system's performance. 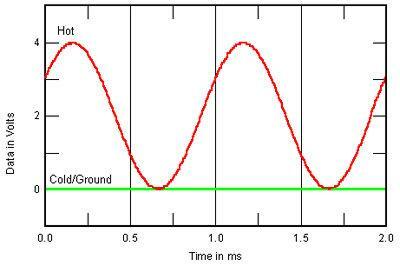 A high output impedance—such as is found in many tube amplifiers—will interact with the loudspeaker's impedance in a way which directly affects the combination's frequency response. The Cary CAD-805, for example, has a lower output impedance than most tube amplifiers, and should be less prone to such interaction. Some months back—before the CAD-805 arrived—I investigated this phenomenon in conjunction with measurements for a forthcoming review of the Melos 400 monoblock amplifier. Since the Melos 400 also had a relatively low output impedance for a tube amplifier (at 0.43 ohms at low and mid frequencies, rising to 1.2 ohms at 20kHz, from its 8 ohm tap), I took that opportunity to run some frequency-response measurements using an actual loudspeaker as the load for the amplifier.